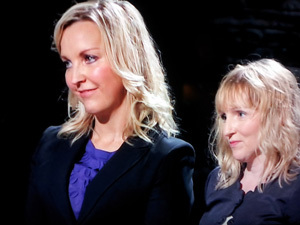 The infamous Dragons on BBC’s Dragons’ Den were bowled over by Gill Hayward and Kellie Forbes, Sage One customers and founders of UK company YUUworld. 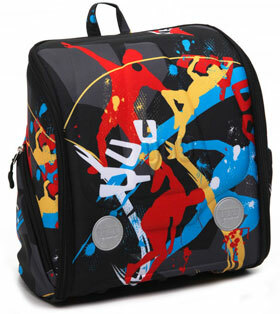 Their innovative YUUbag is an ergonomically designed activity backpack for kids that, amongst other things, transforms into a desk and has secret compartments. Never mind the kids, we all want one here in the Sage One office! As well as having an outstanding product, Gill and Kellie gave a professional pitch and were able to confidently provide robust figures in answer to the Dragons’ questions. The Dragons all made offers – a rare occurrence and a testament to the quality of YUUworld’s proposition. However, Gill and Kellie successfully proposed a partnership between Deborah Meaden and Peter Jones, securing the investment they needed and the support of two of the UK’s leading entrepreneurs. YUUworld worked with Jacobs Allen Accountants, one of our favourite Sage One Accountant Partners, and use Sage One to manage their business finances. Paul Donno, Director at Jacobs Allen, was delighted with Gill and Kellie’s performance on the show, telling us, “We are delighted that Gill & Kellie of YUUworld received five offers from the Dragons, and when the Dragons said that it is so important to understand your margins, we were pleased to have been part of that process. One of Gill & Kellie’s famous YUUbags. Gill added to this, saying, “We knew the importance of understanding our financial targets and route to market inside out – especially when you need to sell your product as a successful business investment to five of the most impressive entrepreneurs in the UK. “As a start-up, we needed guidance and support from experts on how best to achieve our goals in a sustainable way, and throughout our journey we have relied upon the experts at Sage One to help us manage our finances and build our business. Congratulations, Gill and Kellie – proof positive that, if you have a first-rate product, the dedication to making your business a success and robust financial information at your fingertips, you can realise your potential!